Buy One Pair, Get Your 2nd Pair 20% Off! 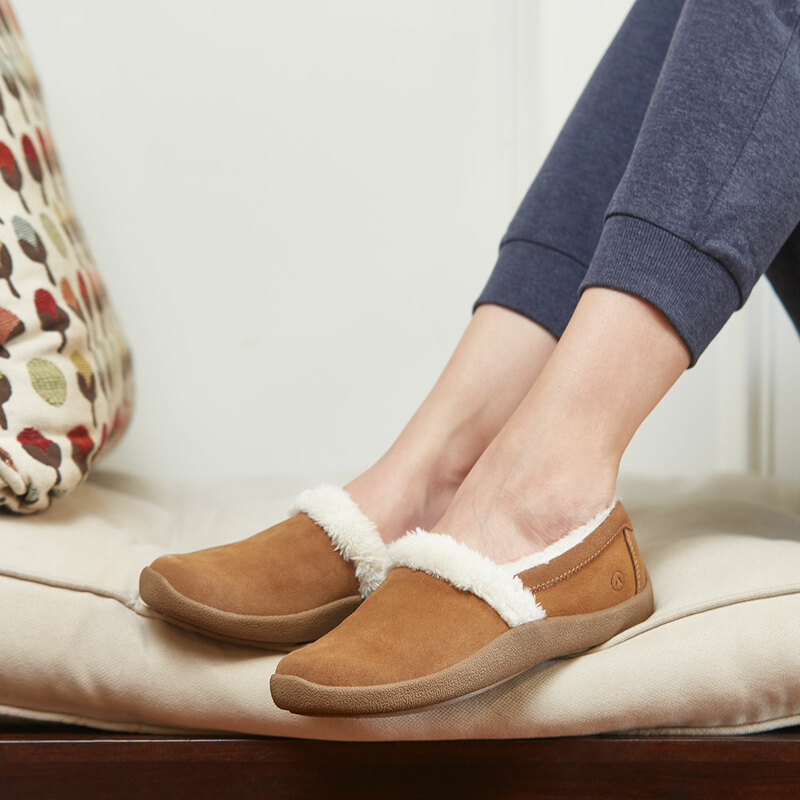 These slipper are safe, healthy and oh so cozy! They have a faux fur lined inside, with a hard bottom. they are designed to accommodate people suffering with diabetes, those with bunions, hammertoes or callouses. They have a wide toe box which allows the foot to spread out and allow space for any bone deformities. These slippers are perfect for people suffering with foot problems and those without! They are stylish and comfy! The hard bottom makes them great for walking inside or when you have to pop out to the mailbox or to walk the dog. Call our office to get fitted into your new slippers!